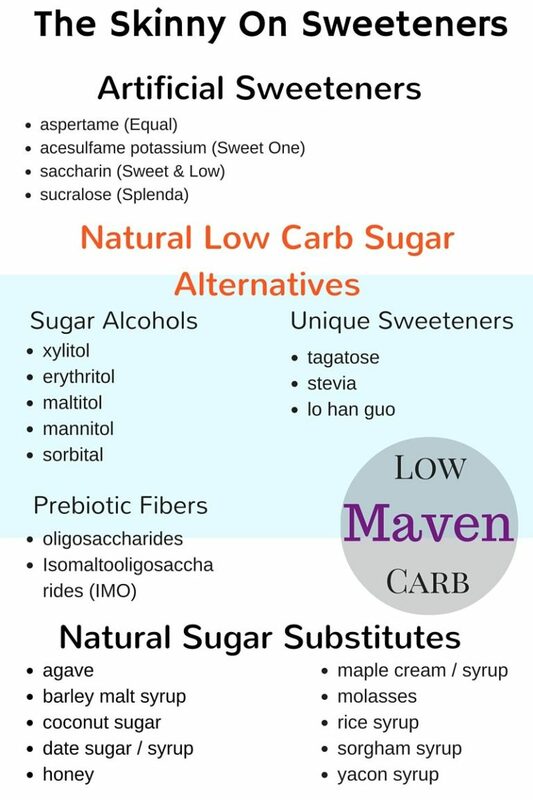 Home » Low Carb Sweeteners: Choose What’s Best For You! Low Carb Sweeteners: Choose What’s Best For You! Finally, the word about sugar is getting out. People are trying to reduce how much refined sugar they consume, but is it enough? Choosing the right sweetener on a low carb diet can be hard with so many choices. Which one is right for you? 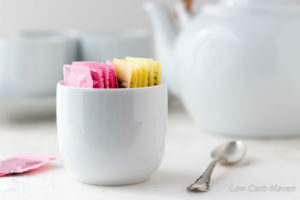 In this article I will explore the difference between artificial sweeteners, natural low carb sugar alternatives and natural sweeteners. In Low Carb Sweeteners Part 2, I’ll talk about what low carb sweeteners I use, why, and how to get the best sweetening effects in your baking. The Skinny On Low Carb Sweeteners: Choose What’s Best For You! Part One: You throw out the sugar and then what??? The subject of sweeteners and sugar substitutes can be a confusing one. The fact that some artificial sweeteners are made from natural ingredients and most natural low-carb sugar alternatives are processed, only adds to the confusion! And even the most natural, raw, and unrefined sugar substitutes (honey, maple syrup, date syrup) undergo a certain amount of processing. 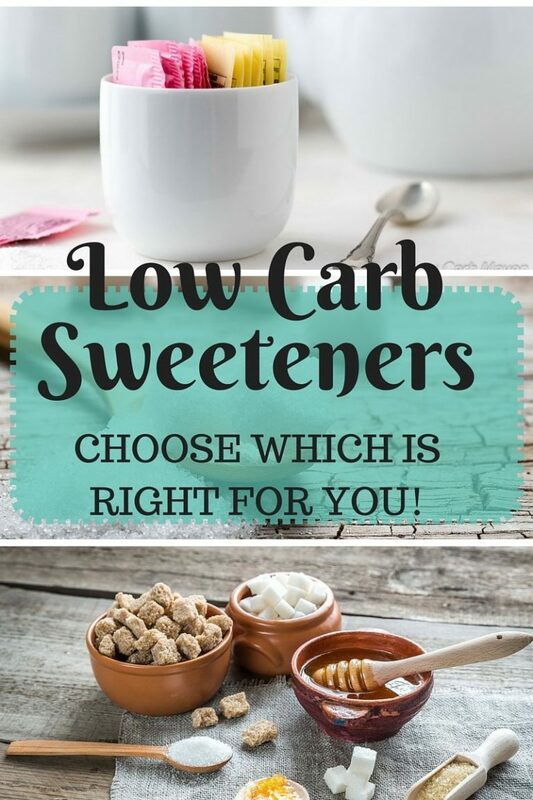 Whether you are following a low carb, ketogenic, or Paleo diet or you are just concerned with what sweeteners you are consuming, I hope to provide some basic information to help you decide which low carb sweeteners might be best for you. Artificial Sweeteners are synthetic (or man made) sugar substitutes, many of which may be derived from natural ingredients. They are many times the sweetness of regular sugar and often have a slight aftertaste. They are low in calories and do not promote tooth decay. There is some debate whether or not artificial sweeteners help one maintain a healthy weight. Some artificial sweeteners are suitable for baking, but because they lack the bulk that sugar has in their concentrated form, they are mixed with bulking agents. This “bulking” helps them achieve a 1:1 ratio of sweetness to an equal amount of sugar. Unfortunately, the bulking agent (typically maltodextrin) has such a high glycemic index that it affects a rise in blood sugar equal to or greater than that of table sugar. Natural Low Carb Sugar Alternatives occur in nature and are derived from natural sources. Commercially, they are derived from fruits and vegetables. They do not promote tooth decay and are lower in calories and carbohydrates than sugar because they are only partially digested in the body. The amount of calories one absorbs depends upon the type of sugar alternative and one’s individual body chemistry. They are most often categorized as sugar alcohols, prebiotic fiber sweeteners, and unique sweeteners. Many natural low carb sugar alternatives have a crystalline form and look just like sugar. Sugar Alcohols occur naturally in some fruits, vegetables, and plant fibers. The sugar alcohols one buys in the store are processed from natural ingredients like fruits, vegetables and milk. By the time they attain their chemical structure, one can no longer determine from which source they came. Similarly, one can not determine in which country they were made or whether or not that source was gluten-free, grain-free, organic, or non-GMO. In other words, by the time sugar alcohols have been made and filtered, they are considered chemically pure. Unique Sweeteners are considered “unique” because of their derivation, how they are made, or their chemical structure. For example stevia is an herb with a sweetness factor 200 times greater than sugar. When refined to reduce the amount of bitterness, it provides a great low calorie and low carb punch of sweetness. Other sweeteners categorized as unique are “blends”. Most often, blends consist of 1 or more sugar alcohols mixed together or a mixture of sugar alcohol and stevia or a sugar alcohol/fiber (think chicory) blends. Tagatose, a newer sweetener, is unique because of it’s chemical structure. Although lower in calories and carbs than natural sweeteners, many natural low carb sugar alternatives do contain calories. The body does digests a small portion of them with the remainder being digested by bacteria in the lower intestines. The exception is erythritol. The human body does not have the proper enzymes to digest etythritol, leaving it mostly undigested as it leaves the body. Furthermore, some sugar alcohols are digested more completely than others and can cause a spike in blood sugar – even those used in diabetic products! It’s important to monitor how a specific sugar alcohol affects you. When trying a natural low carb sugar alternative for the first time, take it slowly. Something to consider, many low carb natural sugar alternatives can produce gastric distress or a laxative effect if one is not used to consuming them. Using small amounts at first and increasing over time works for most people. 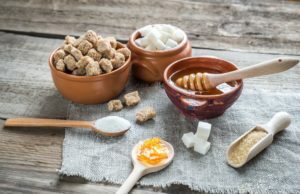 Natural Sweeteners are often thought of as a more healthy option to regular table sugar (white or refined sugar) but even they may undergo processing and refinement. These are most often the sweeteners one sees in “Healthy Sugar-free” recipes. 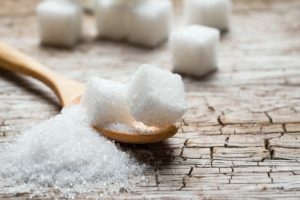 Even though they may seem healthier, they have the same effects in the body as table sugar in that they similarly break down into glucose and fructose in the body.They most definitely affect blood sugar. But How Do You Choose The right Sweetener? Ultimately, determining which sweetener is right for you comes down to personal choice. Some people wish to avoid artificial or man made sweeteners while others find them helpful in reducing calories and controlling their blood sugar (if not mixed with maltodextrin). They provide a nice degree of sweetness and some perform well in baking. They are also easy to find and less expensive than natural low carb sugar alternatives. Natural low carb sugar alternatives are an excellent choice for those who wish to control their blood sugar and prefer to eschew artificial sweeteners. They perform well in baking, although not exactly like sugar, as some inhibit browning while others increase browning. They also may exhibit a slight cooling effect when eaten and can cause intestinal distress upon overeating. They cost more than artificial and some natural sweeteners, and may need to be purchased from a specialty merchant. Natural sweeteners are not sugar-free at all, but appeal to some because they may undergo less refining. Those that are less refined often retain some vitamins and minerals thus providing more nutritional value than either of the choices above. They have a pleasing flavor and mouth feel and perform well in baking. Take care though, many have a tendency to burn. Conclusion: Whether you chose to use artificial sweeteners, natural low sugar alternatives or natural sweeteners, keeping your goal in mind is helpful; to reduce overall calories, to lose weight, or to chose something found naturally in nature. They all have their pros and cons and like everything these days, should be used in moderation. In the next article, Part Two, I’ll share with you some of my favorite sweeteners and why as well as how I use them. Thank you Kim, you are a STAR! It’s good to know that when it comes to me starting to use low carb sweeteners, that at first we need to take it slow. That is something I am going to keep in mind when I actually do use it to help make different things sweet, and try to loose weight at the same time. This is great to know so that I know if my system will be able to handle this kind of sweetness, and be aware if I have a laxative effect. Thank you for the interesting article about sweeteners! I am trying to not use sugar, but it is hard to figure out what to replace it with! It helped to read about the choices!